The Iranian armed forces rushed to provide assistance to neighboring Iraq and blocked the savage terrorists who posed a serious threat to Iraq, said Ali Larijani. Iran’s Parliament Speaker Ali Larijani on Monday hailed the country’s armed forces for their effective and timely assistance to Iraq that helped the Arab country obstruct an offensive by the ISIL “savage” terrorists. 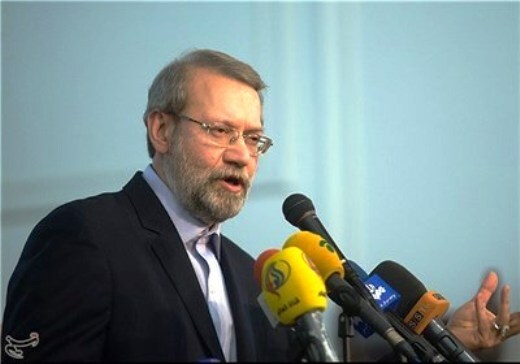 Addressing a Monday meeting of a parliamentary faction, Larijani highlighted the role that Iranian military forces play in ensuring security across the region. He said the Iranian armed forces rushed to provide assistance to neighboring Iraq and “blocked the savage terrorists who posed a serious threat to Iraq”. Pointing to his recent visit to Iraq and Kurdistan semi-autonomous region, Larijani said all Iraqi officials expressed gratitude to Iran for its “timely and genuine action” in the fight against the ISIL terrorist group. He said Iran took practical measures to help crisis-ridden Iraq while others were just talking without taking any action. “Therefore, our armed forces played a significant role both in deterrence and in providing security in the region,” he concluded. Tehran has already made it clear that its assistance to Iraq is confined to consultation and advisory help. Iranian officials say Iraq is capable of defending itself and there is no need for Iran to send any combat forces to the Arab country. The ISIL militants made swift advances in much of northern and western Iraq over the summer, after capturing large swaths of northern Syria. However, a combination of concentrated attacks by the Iraqi military and the popular forces, who rushed to take up arms after top Iraqi cleric Ayatollah Ali al-Sistani issued a fatwa calling for fight against the militants, have blunted the edge of the ISIL offensive. They have been committing heinous crimes in the areas they have taken, including the mass execution of civilians as well as Iraqi army troops and officers. Amid tensions in Iraq, Iran is known as the first country to help the Arab country and has always voiced support for Iraq’s solidarity and prosperity.